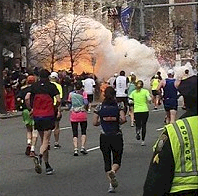 The Boston Marathon Bombing Near Miss! In the midst of the TriSystem EDGE Challenge life brings us even more challenges in dealing with terrorism and senseless tragedy. In the middle of danger and adversity, stories of life and limbs lost at the Boston race remind us of how some things just don’t make sense. In to my life enters an aspiring young runner, studying to be an NASN Primary Sports Nutritionist and personal trainer. 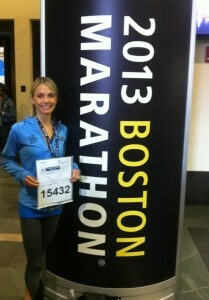 Pictured here is Melissa with her racing tag for this year’s Boston Marathon. “Officially excited” is what she captioned this picture. There is so much training and preparation that goes into a race like this that the expectation to do well and the celebration at the end adds to the excitement of traveling and finally getting there. Melissa was no exception. She prepared diligently and was hoping for her personal best. 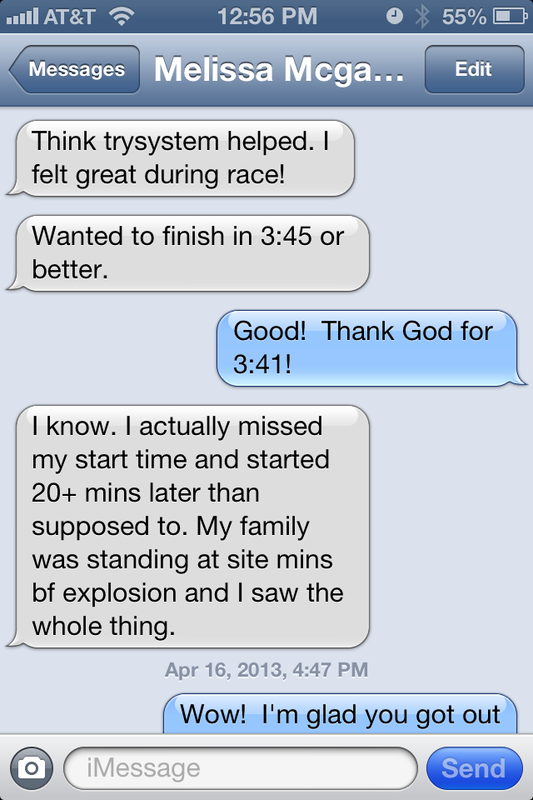 Under 4 hours was satisfactory but under 3:45 was her hope. A race this size has several start times to accommodate the large number of participants and Melissa started 20 minutes later than her scheduled start time due to a back up. Start times are ranked by previous race statistics with the fastest runners going first. Melissa’s times put her not too far back in the pack but, she still started 20 minutes later than her scheduled start. 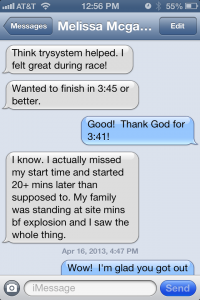 When I learned that the bombs detonated around 4:15 to 4:20 into the race, it immediately made me worry about my student who had been pursuing her NASN Primary Sports Nutrition License. Melissa had told me during her sessions about the race and we discussed the benefit of using TriSystem EDGE to improve her performance. With the news of the bombing, I realized I had a young sports nutrition student with TriSystem EDGE right in the middle of it. Trying to reach her made me fear the worst when her mobile phone went straight to voice mail as if it was not on or damaged. There was no connection even when I tried the evening after the race. I saw there was some activity on her Facebook page and I got a text. Here mobile phone had been made inoperable by law enforcement to prevent anyone from using their mobile phone to detonate another bomb. From there, she went to the airport and just didn’t have a good mobile connection until Tuesday. So what happened??? Melissa expected to cross the finish line at exactly the time the bombs went off and her family was waiting to see her there. Instead, she did better than expected with a 3:41 time and got her medal and family away from the finish line, just in time to be far enough away, but close enough to see the whole thing happen. What an incredible story. “Thank God for a 3:41” run time and I hope that TriSystem EDGE helped her get it. She thinks it did. She felt great during the run and that pace saved her life and the lives of her family. This whole story put’s things in perspective. The unknown is out there and evil rears it’s ugly head when we least expect it. How can we be ready for things like this? What kind of person would even consider doing something like bombing the Boston Marathon? I can only answer the first question. The answer is to do our best. The answer is to maintain our resolve to do good. Attitude, mindset and mood will govern whether we live life as a gift and hold it precious or live like life is a burden that can only be ripped from us. FIND YOUR EDGE and keep it. EDGE helps with the physiology behind staying in a good mood, maintaining a healthy metabolism an recovering from stresses like the Boston Bombing. Let’s take it even one step further. We need to feed our minds and spirits as well with daily encouragement and tools to live an optimistic, productive life. That’s why when something like this happens , it’s good to have a support system to fall back on. The first thing I do, most mornings, is devote my first minutes of the day to understanding my purpose and how I can be better. Join me if you like. At times it gets personal and, of course I share my beliefs and perspective. Sometimes someone else’s perspective helps you confirm your own beliefs. 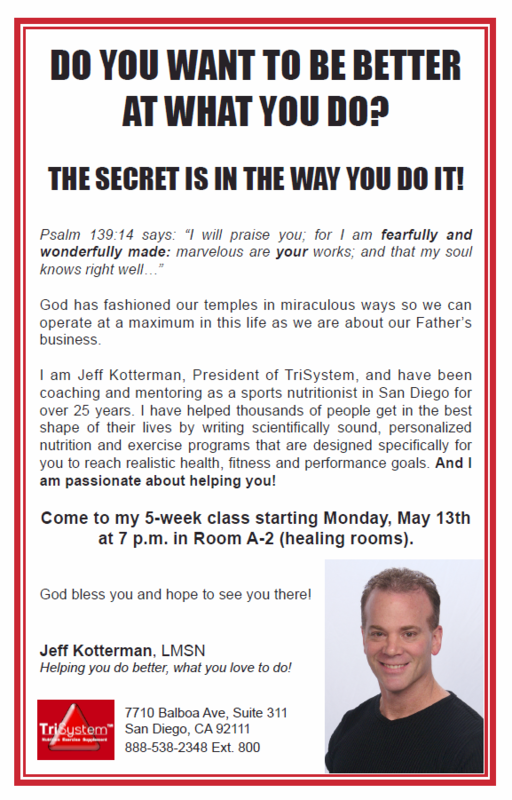 You can find my devotional summary here: https://www.facebook.com/jeff.kotterman. My personal Facebook page. “Friend me” and it will show up on your Facebook timeline and hopefully motivate and encourage your friends as well. We all could us some motivation these days, couldn’t we? 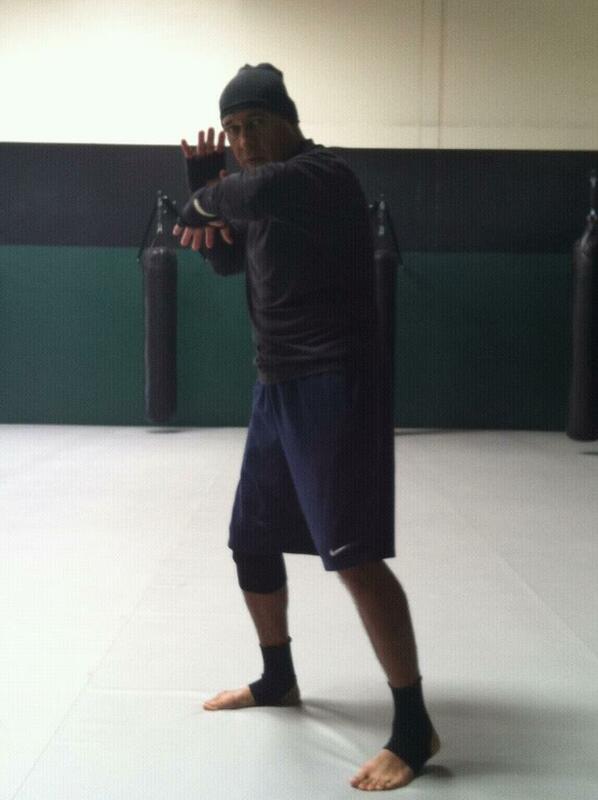 FIND YOUR EDGE and keep the Faith! Do you know someone who is in a bad mood? It seems like one thing after another is just getting in the way of people being happy these days. I’d say the feeling of contentment is less this decade than last. Were things better in 2000 or 2005 than now? Were things better in 2010 than now? Did you have more money and less worries then? Were you in better shape? More energetic? What’s going on today? Between the economy, the president, the supreme court and everyone else, it just seems like you’re more likely to get rude behavior in the store and the middle finger on the road. I see it in my clients. They complain about their bank account, their family problems and the poor genetics God gave them forcing them to have to exercise and eat foods they hate. I feel like I’m in jail. I can’t do the things I want, have the things I should have and I’m just worried about what’s coming next.” -During a client’s initial assessment. Can you relate? Do you see a trend? Ice cream and liquor sales increase almost exactly opposite of the stock market. As the unemployment rate rises, so does the consumption of comfort food and hours spent on the couch. Find out the answer and start your Friday night with me on April 5th at 6:30 – 7710 Balboa Ave. San Diego, Ca 92111. I promise, you’ll leave with a smile on your face and a strategy for getting and staying in a good mood. RSVP below and receive a secret code and be entered in our raffle to win something that will make you happy! I am pleased to announce that I've been selected to be the Official Pageant Physique Consultant for the Miss California Intercontinental Pageants. 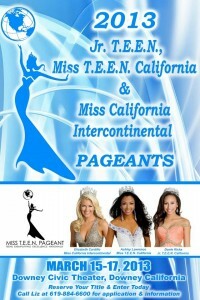 This includes consulting for the Junior T.E.E.N California and The Miss T.E.E.N California Pageants as well. Miss California Intercontinental is the official state preliminary to the Miss United States Intercontinental Pageant. The coveted tiara that the winner of this pageant wears is the most expensive crown used in all of the events of this nature, valued as it is at 335,000 USD. The pageants will be Presented by AJ Beauty, the pageants will be held the spring of 2013 in Southern California. Because of my strong convictions towards good health and a healthy physique, I am an advocate of conveying a balanced, healthy image in a community where beauty, high standards and the American obesity epidemic intersect. There is still a lingering stigma among the ignorant that pageantry promotes unhealthy, underweight images of women destined for the fashion runway. At the same time the standard of acceptable and healthy weight keeps rising as the average American gets heavier and heavier each year. As a Licensed Master Sports Nutritionist and the current Director of the National Association of Sports Nutrition, I am proud to have the opportunity to consult these fine young women and to provide the latest nutrition and exercise strategies for optimum results. It has become more difficult than ever to maintain a healthy body in this highly technological, fast paced society. Mindful eating and purposeful exercise just seem to be more of an idea rather than a reality. With 2013 fast approaching, the up and coming women of our modern society are not only exposing themselves to the traditional challenges of pageantry but, also the hyper criticism of being viewed as too thin or too fat or both by the scrutinizing public. It is my job as the official pageant physique consultant for these pageants to ensure these women achieve their personal best and to validate that they are as healthy and as happy as they can be. 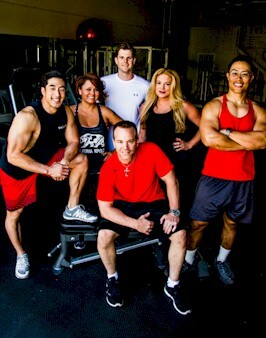 I provide professional assessment, program development and follow up that includes specific nutrition and exercise advice. My experience has spanned over 20 years with thousands of clients, many who have achieved different titles in all walks of life. For more information about how I can help you present your best at your next pageant go to http://trisystem.info/contact/ and tell me more about you or just call 858-694-0317 and ask for Jeff. If you'd like a reference, any of the women below will gladly speak on my behalf or just ask Liz Eddy or Robin Senne. After a large test of over 200 doses of the new supplement, TriSystem Edge and another 22 people in a focus group, the logo and price have been determined. I want to thank all in the Alpha test group who diligently participated in the study and gave clear, objective feedback. I am confident that I have a solid product that effectively puts you in the mood to exercise, helps you build muscle and burn fat while your exercising and then protects your body and helps you recover after the workout is over. I always knew that the core of the product was excellent and that it would be unlike what is already out there. The hard part now is to make it attractive to the masses. This product is so diverse, the packaging is going to be challenging. It is good for those who want health and fitness and those who are already there. It is good for those who want a supplement that is going to kick them in the pants and for those who need only a mild push. 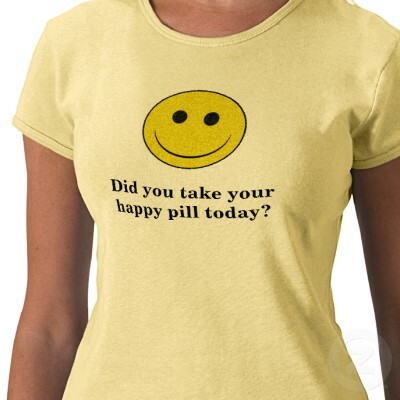 The study and focus groups show that based on the dosage, you get a different experience. Only those who have a long history of stimulant use or those rare genetic "freaks" (I say that with love) did not consciously feel the supplement working. 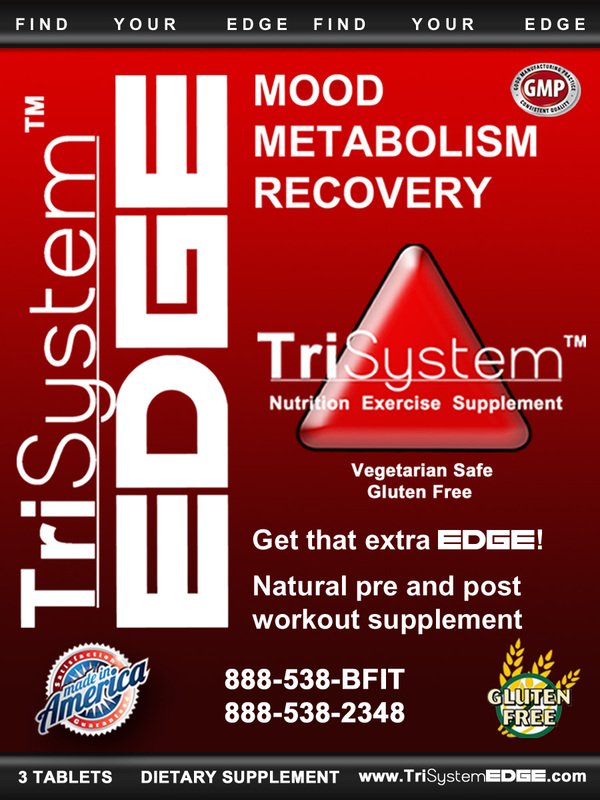 But even for those, TriSystem Edge has such a metabolic and antioxidant value that it is still worth it, even if you are immune to the mood altering effect. It is a good choice and as it appears throughout the internet and on the product, we may take some artistic license and vary it a little bit. Well, on to the price. There was a wide range of suggested prices but, the majority of those who responded were within a few dollars of the actual price. Averaging everyone's response resulted in a price that made both industry and marketing sense. Focus groups really have value. 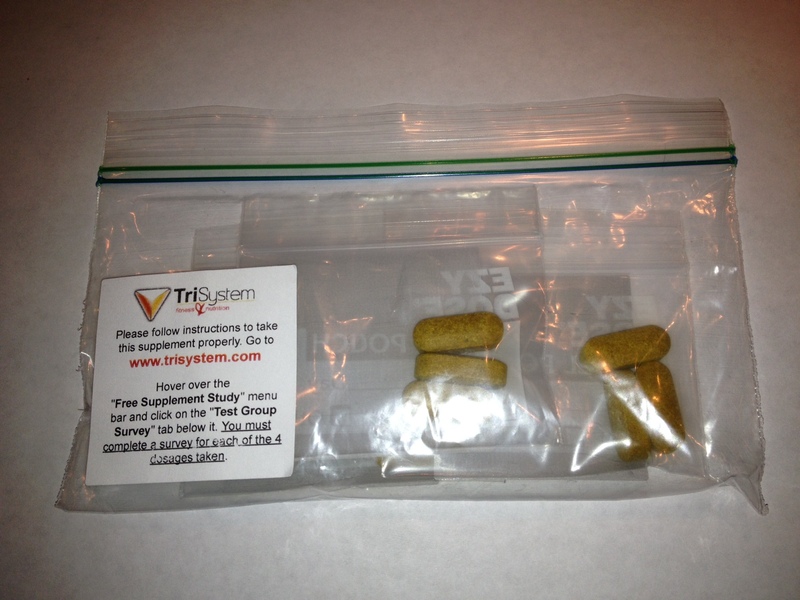 I've been recommending various combinations of the herbs in TriSystem Edge for years. Milk thistle has been a TriSystem pre and post workout supplement for decades. When I started recommending it, no one seemed to know about it. A healthy liver makes for a health person. The liver is where the body uses essential fats to start the hormone building process. Human proteins are assembled in the liver. 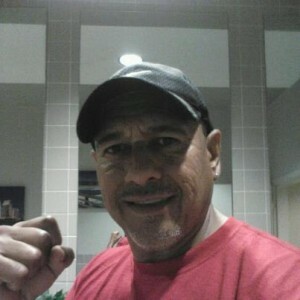 Well my recommendations for supplementation pre and post workout grew as I learned of the benefit of the combination of herbs TriSystem Edge now has. It has been these six different herbs for almost 2 years now and although the benefits were obvious, my clients just didn't want to take 6 different capsules within minutes of working out and then again, right after. Finding and purchasing the ingredients was a whole other inconvenience. You have to drive around town or even if you purchase them from the largest internet supplement retailer, the one with the best prices, it is expensive. I know, I have been buying them for myself. The best price per month form the individual ingredients I could find is $75.60. I rationalized and said, "Well, at least it's less than a tank of gas." These were some of the reasons that drove me to create TriSystem Edge. Now I can provide a quality product for around half that price! Why wouldn't I do it? Well, it costs time money and effort up front to do it, but, I think it's worth it, don't you? Now we go go into production and if you want to pre-purchase then, you can get them for even less here. Oh Yeah! The Winner. That's why you're reading this post in the first place. 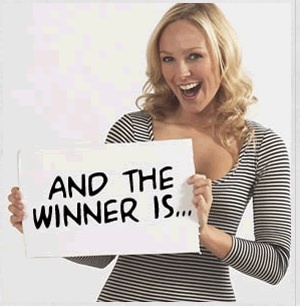 The winner is a NASN student personal trainer and Student Sports Nutritionist, studying to be one of the best. 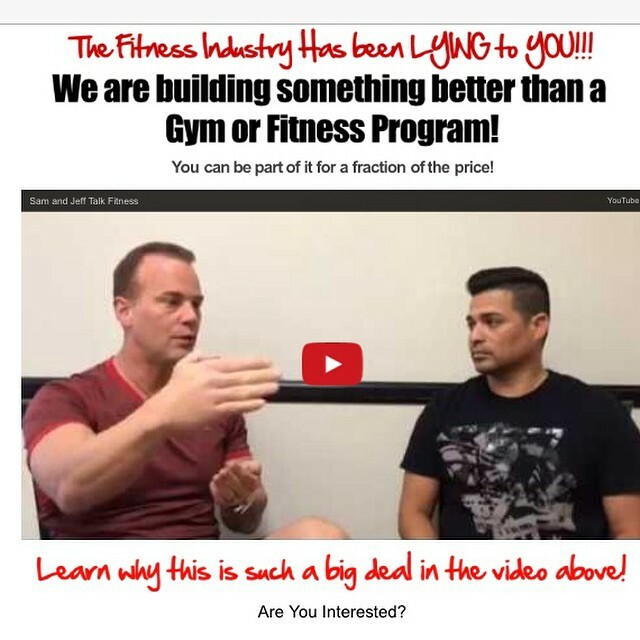 He is working hard to raise a family and is passionate about fitness. 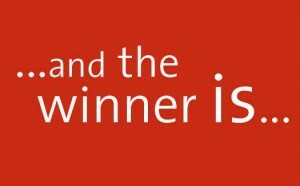 Congratulations for picking the correct name, logo and being the closest to the retail price of the product. NASN student, Seth Martins. 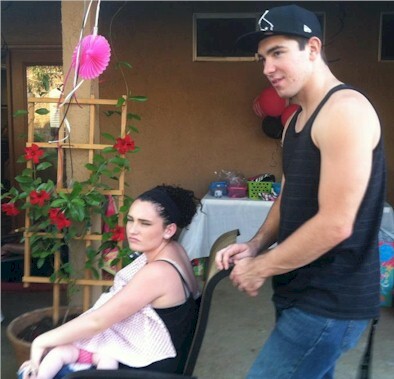 Seen here with his family (he is the one standing), I'm sure Seth will appreciate $349 TriSystem dollars to use for himself or give to someone else. 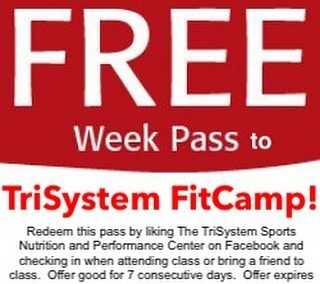 Seth, call me at 858-694-0317 to redeem your certificate. Let's help each other do what we love to do better, together! Crushed Samples in the Mail! and the US postal service did not handle my envelopes with care. I don't know what I was expecting. Obviously, the envelope sorters squeeze the envelopes and it was enough to crush the samples. Bummer! 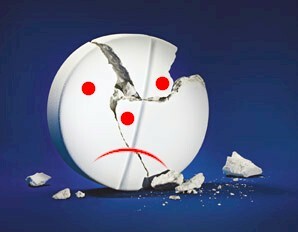 an effective dosage starts at 2 tablets before and 1 after. Everyone felt the best effects at the full dosage of 3 before. If you are already consuming green tea, coffee or other caffeinated beverages, you may consider starting with 2 before and 1 after for your first workout and 3 before and 3 after for your second workout. Results are showing that the recommended dosage on our packaging is going to be: Take 1 packet of 3 before and 1 packet of 3 tablets after workout. everyone seems to like the same 2-3 choices of product name. most are recommending a $40 per box price point.